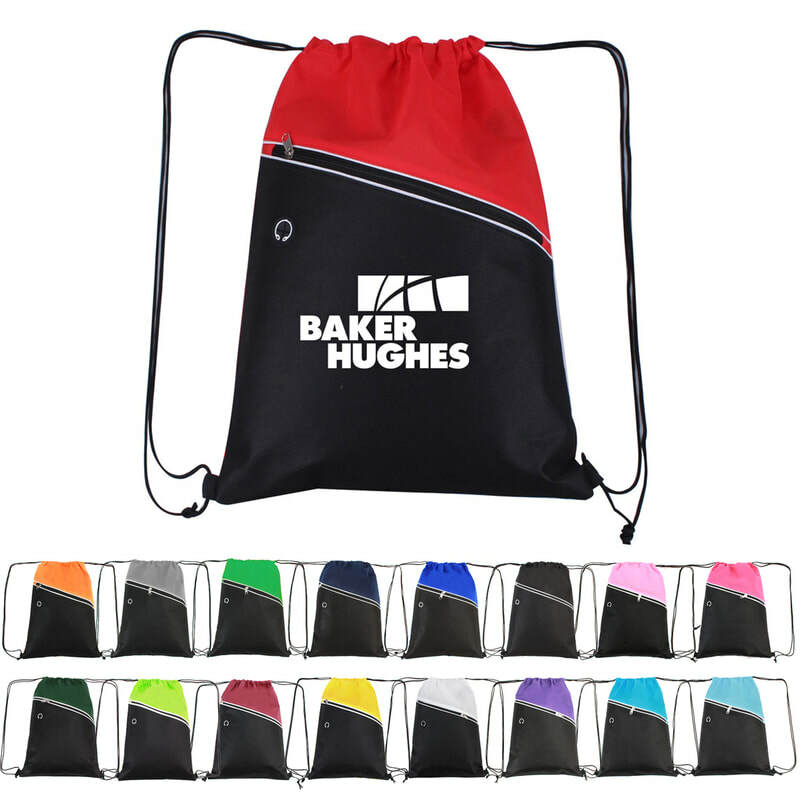 Ideal for school bookstores, trade show giveaways, or as keepsakes handed out at 5k and triathlon events, these non-woven two-tone drawstring backpacks are appropriate for various sporting open events. With flexible drawstrings that seal the principle compartment, our discount promotional two tone drawstring sports packs can convey extras from garments and shoes to sports gear and water bottles. ​These promotional drawstring backpacks additionally highlight an advantageous vast front zipper take and mp3 earphone port on front. With splendid two-tone color selections accessible in blue and black, green and black, orange and black, red and black, and yellow and black, our discount custom logo drawstring sport packs are certain to knock recipient's socks off wherever they go. Request these great drawstring bags today and get free delivery on your request. Contact our client benefit group should you have any questions. This product consents to Prop 65.